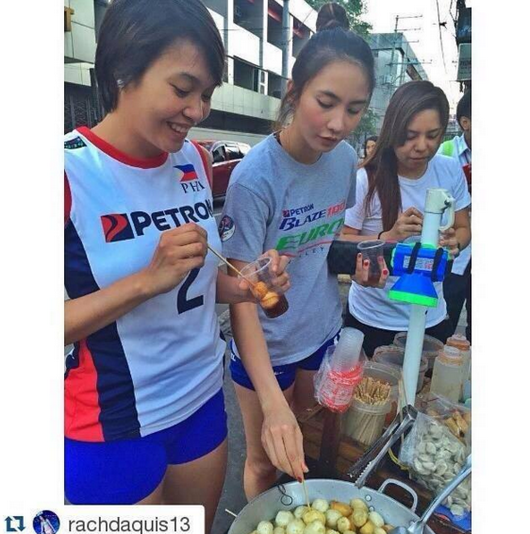 Rachel Anne Daquis Aby Marano spotted Eating a Famous Streetfood: Foodtrip Photo Here! Photo of the day: The powerful hitters of the Petron Blaze Spikers Rachel Anne Daquis and Aby Marano were spotted eating a famous streetfood, fishball. Check out their foodtrip photo below.